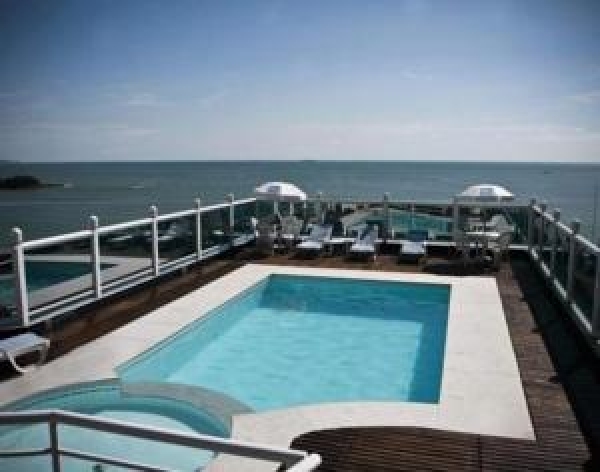 The Adults Only Hotel Bhally is located right at the beach side, close to the Balneário Camboriú, and several shops and restaurants. If looking for a calm hotel to spend a great holiday without children, then the Bhally Hotel should be your first option in Brasil. Enjoy your vacation at the outdoor pool on the hotel’s terrace from where guests can have an amazing view over the ocean. All rooms feature cable TV, air conditioning and free Wi-Fi. A fully equipped gym and free private parking are also available.